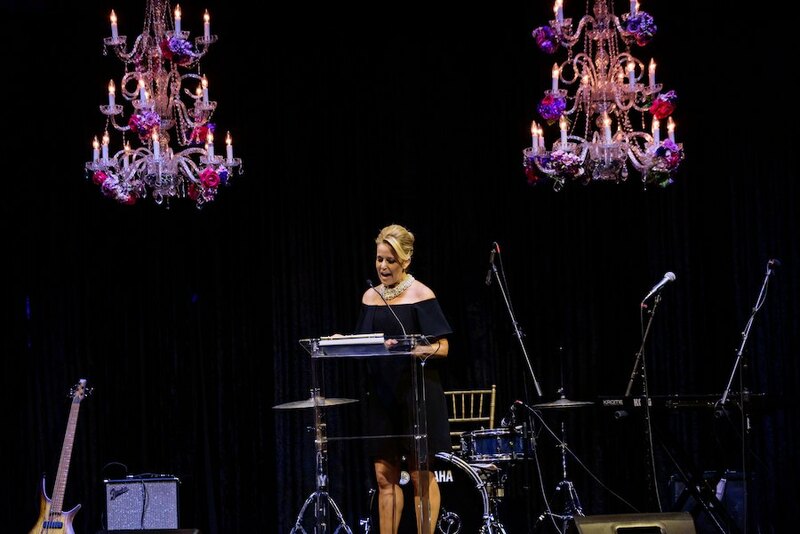 “For almost 40 years, the Los Angeles Ronald McDonald House has offered a home away from home for families with seriously ill children receiving treatment at area hospitals. 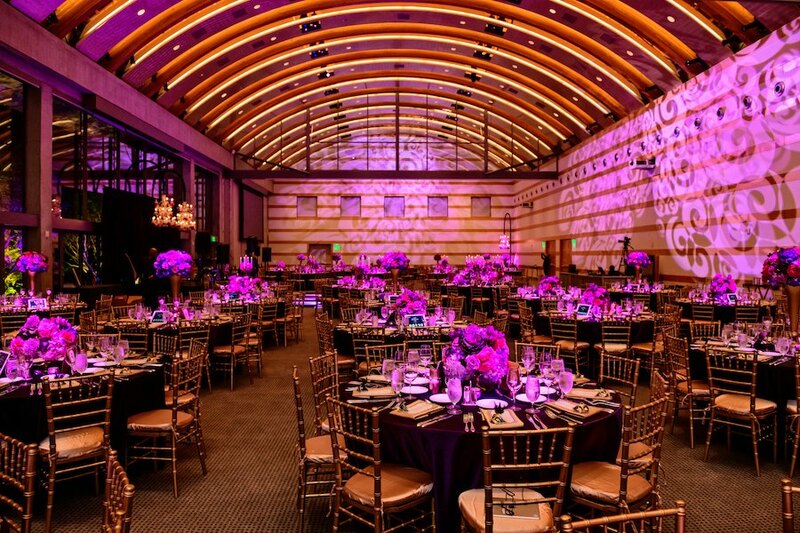 In the past two years, our occupancy has soared, in 2017, we hosted a record 23,829 family nights.” – Los Angeles Ronald McDonald Charities of Southern California. 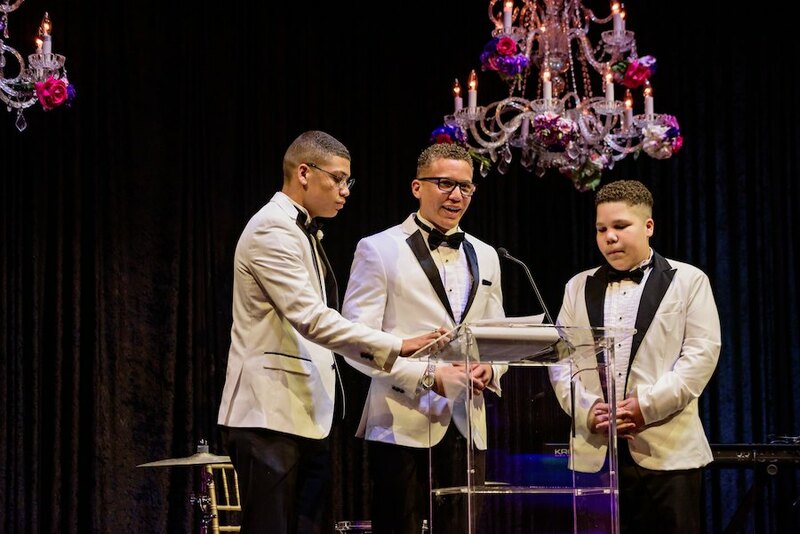 The Ronald McDonald Foundation Masquerade Ball, also known as Mac Tonight Gala brings the generosity, leadership, and service of honorable guests that help the foundation continue helping families. 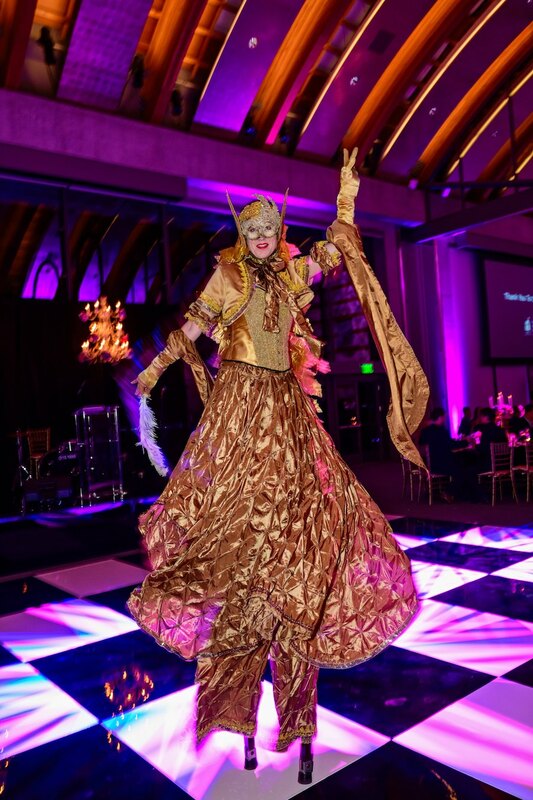 This year, the Los Angeles Ronald McDonald Charities of Southern California held the annual Mac Tonight Gala at the Skirball Cultural Center in Los Angeles with the creative design and production from Cobalt Events. 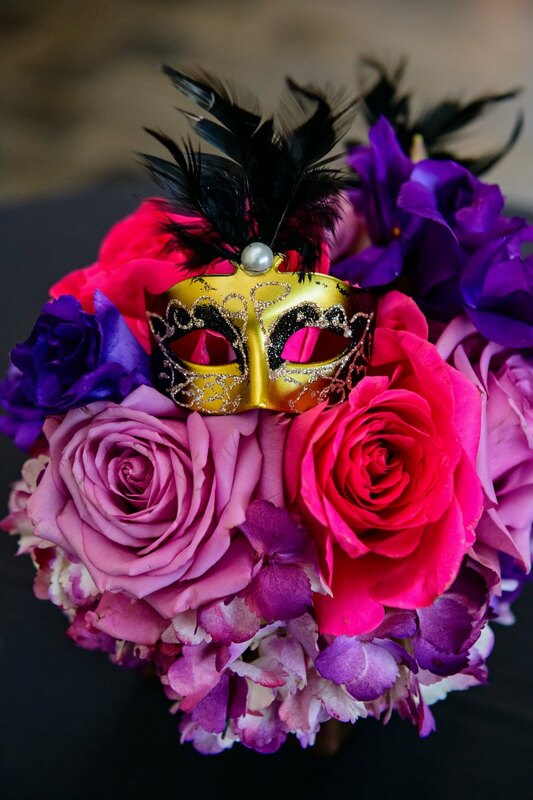 Nicole Hirsty and the team at Cobalt Events opted for a purple and fuschia theme to decorate the spacious venue. 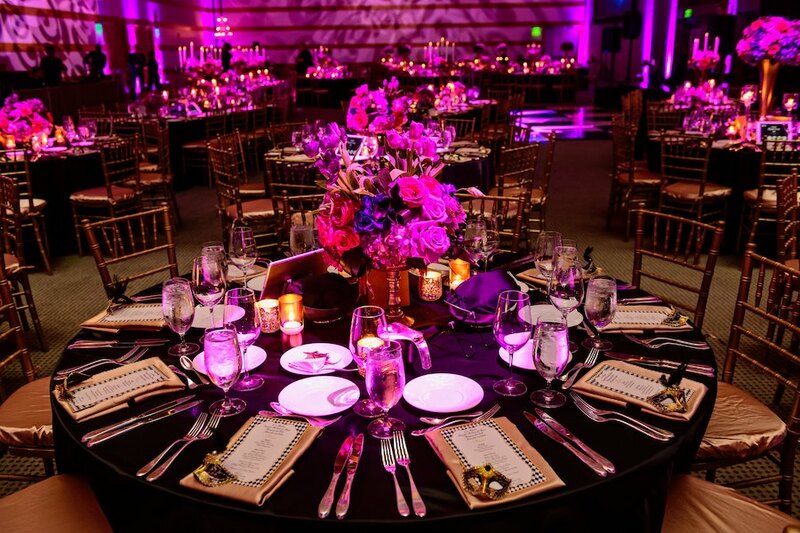 Black, round and family-styled, tables filled the room, along with golden chairs and dinnerware. 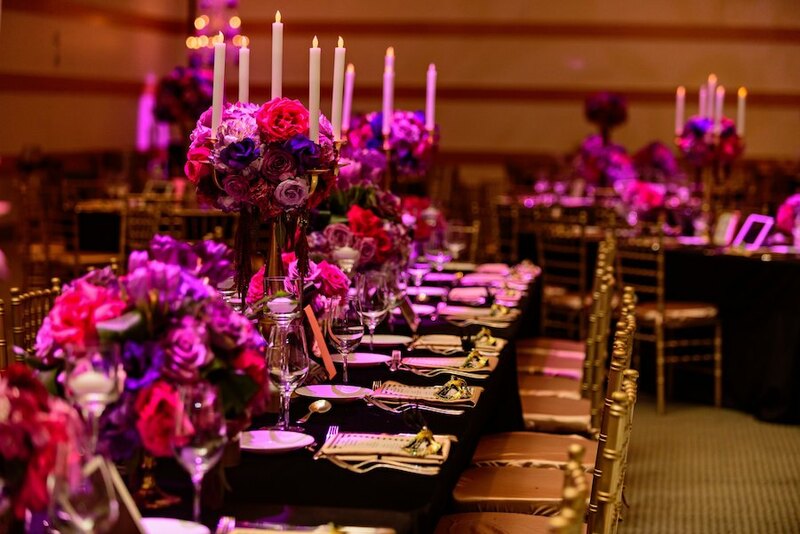 Pops of color embellished the romantic ambiance with floral arrangements running each table. 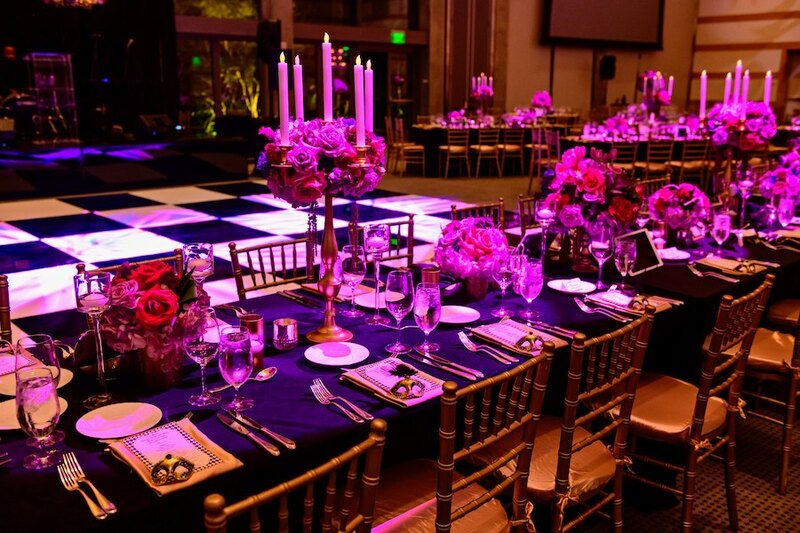 The bright blooms also held chandelier styled form to compliment the designs created by moving lights. 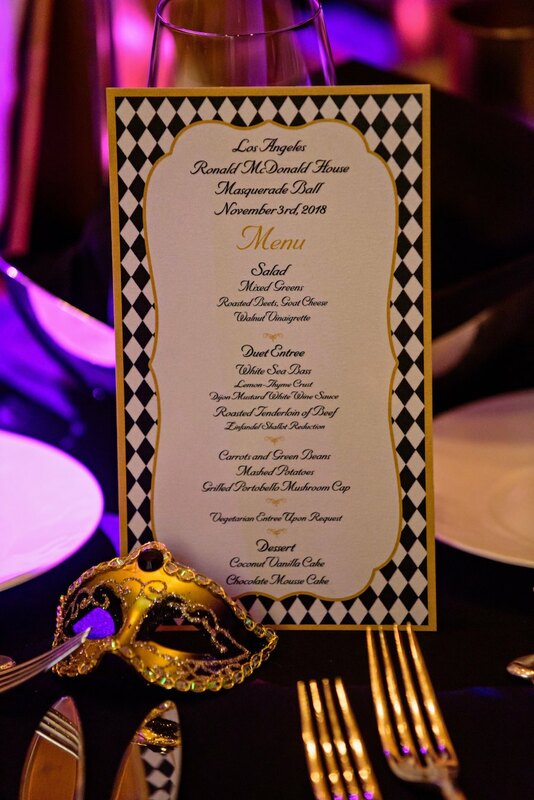 The night provided the fun you’d expect from a Ronald McDonald event with free masks for all guests to be a part of theme! 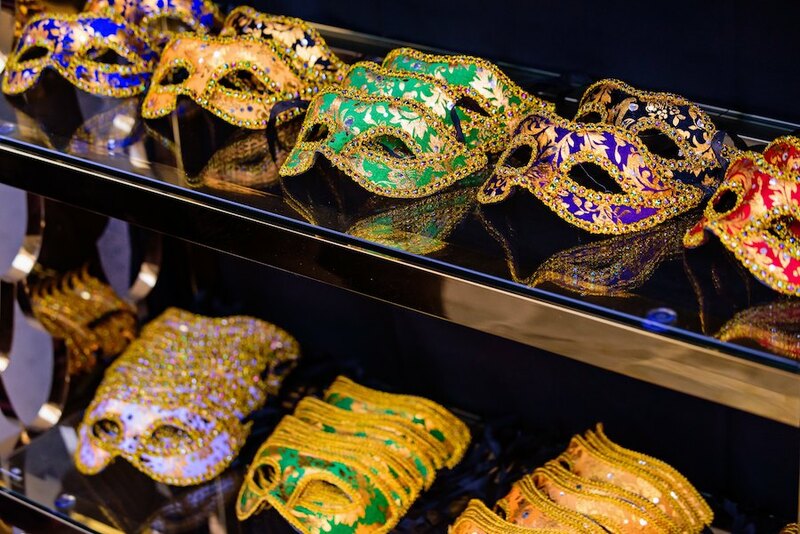 Walking around the checkered floor, you will also find stilt walkers dressed in golden attired and their own colorful mask! 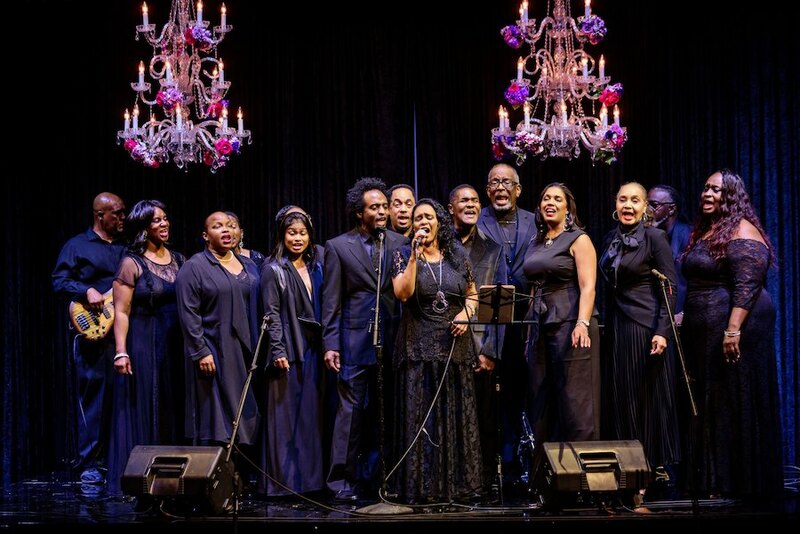 Scroll down to see all the fun from the Gala.